Four days ago, we featured Clayton Kershaw of the Dodgers at 22 days remaining in our countdown to Major League Baseball’s Opening Series on March 22 in Sydney, Australia. That was an easy one. A shutout and a decisive homer last April 1, too obvious. 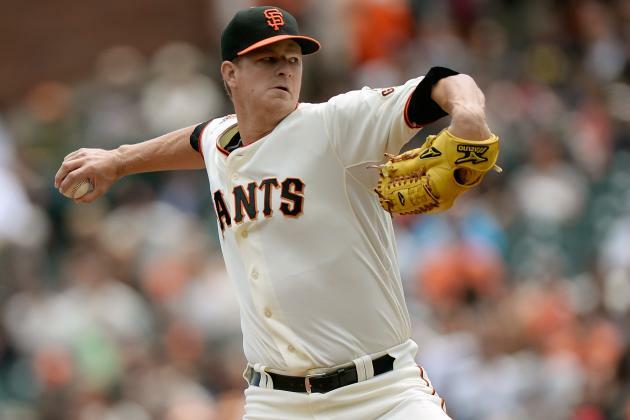 But maybe you remember that on the other side of that Dodgers-Giants rivalry game, Matt Cain made his first Opening Day start in the Majors. And when he left after six innings, it was a scoreless tie. Granted, Cain pitched out of trouble a lot for the Giants that day, but he got the outs when he had to and he was able to experience something he had been wondering about. Now another Opening Day awaits. Cain figures to be a lot better than 8-10 this season, having finished strong after a disappointing first half last season. Giants fans are counting on it. The Giants open the 2014 regular season on March 31 at Arizona to start a four-game series, and then they visit the Dodgers for a weekend series on that trip. The home-opener at AT&T Park is April 8 against the D-backs, and more memories are waiting to be made. Who should be No. 17? Tell us in the comments below.